« Earth Day Eco-Stewards 10:30 a.m. – 12:30 p.m. 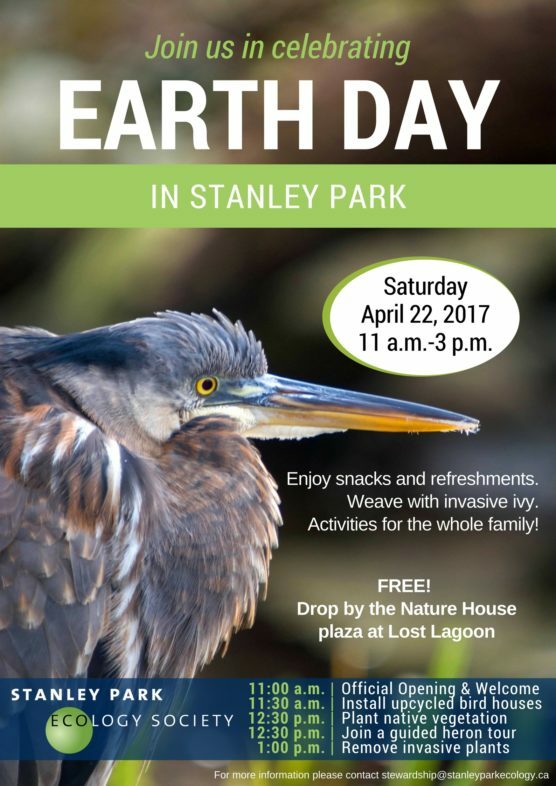 Think globally while acting locally through our Earth Day celebration at Stanley Park! Join us for a day of hands-on ecology through restoration activities, conservation action, crafts and booths for the whole family, and a tour to visit our local heron colony. 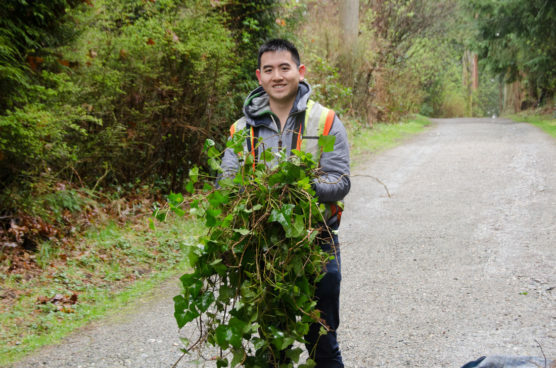 Learn about the various conservation initiatives of the Stanley Park Ecology Society and how our work is supporting wildlife. Festivities kick off at the roof deck of the Nature House! * No registration is required, but you are welcome to claim a ticket to receive notifications and reminders!